Meghan Markle as Rachel Zane in Suits. 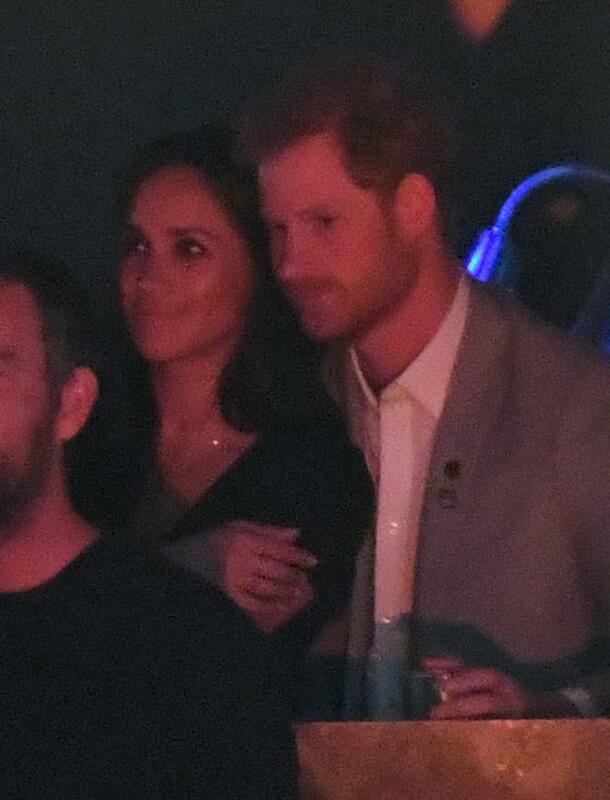 I would preface this by describing it as a confession, but it’s hardly a surprise that I am declaring myself royal obsessed. I love everything about it: the pomp and ceremony, the gilded carriages, the diamond vault and Kate Middleton’s access to a bouncy blowdry clearly using tools from the future. It’s fun and frivolous news, tabloid fodder than I eat up weekly by analysing wardrobes, hairstyles, ex-partners...you name it, I’ve probably read it. And I’m not alone: you, dear reader, join me most of the time, some of it because you also enjoy it; other times, to tell me how much you hate it. I, of course acknowledge the very concept of a monarchy is outdated, a leech on their country’s taxpayers, but the crown seems here to stay, so why not at least make the most out of something that you can’t change and doesn’t directly affect you? A man tweeted my last week that I should “stick to writing about the British royals” after he disagreed with an entirely unrelated op-ed I wrote. He wasn’t a very nice man. He was also wrong – I don’t discriminate when it comes to writing about royals. Spain’s Queen Letizia is my style crush of 2017, Princess Sofia of Sweden’s transition from reality star to royal fascinates me; Denmark’s Crown Princess Mary is growing in my esteem and The Netherlands’ Queen Maxima always seems like she’s having a royal laugh everywhere she goes, dressed in bold prints, statement earrings and a smile. I shamelessly binge on special productions like BBC’s The House of Windsor and Channel 4’s When Harry Met Meghan, but the existence of a show like The Crown on Netflix, which airs around the world, perhaps best illustrates my point. It is Netflix’s most expensive production ever, costing around €200 million for the second season, a prime deemed worth it by the streaming service after a spectacular first season. My fascination could, perhaps, be down to the fact that I grew up in the US, where the closest thing we had to a royal family were the Kennedys and later moving to Ireland, where there is also no royal family. I’ve had to look to princesses near and far. I outgrew Disney long ago, but my love for tiaras is the same reason I enjoy the Real Housewives franchise - I love watching nonsense with good production value, which is essentially what royals are. At first, it was because my job required me to know all about them – any digital journalist will tell you that Kate Middleton, and now Meghan Markle, is absolute gold for hits and I can already see a significant spike in traffic on this website since Meghan and Prince Harry announced their engagement this morning. From necessity grew genuine interest and now, I am unashamedly fascinated in learning what makes them tick. How do they start their day? Do they know how to cook? How can they walk around in high heels all day and night and their feet not kill? When Princess Margaret’s fabulously outlandish morning routine did the rounds last month, which included breakfast in bed, three vodkas and an hour long bath, I thought my suspicions of an indulgent routine were confirmed. And while Kate and William could be accused of being work shy, they don’t appear to be satiating any afternoon tipples while draped in diamonds a la Margaret in 1955. 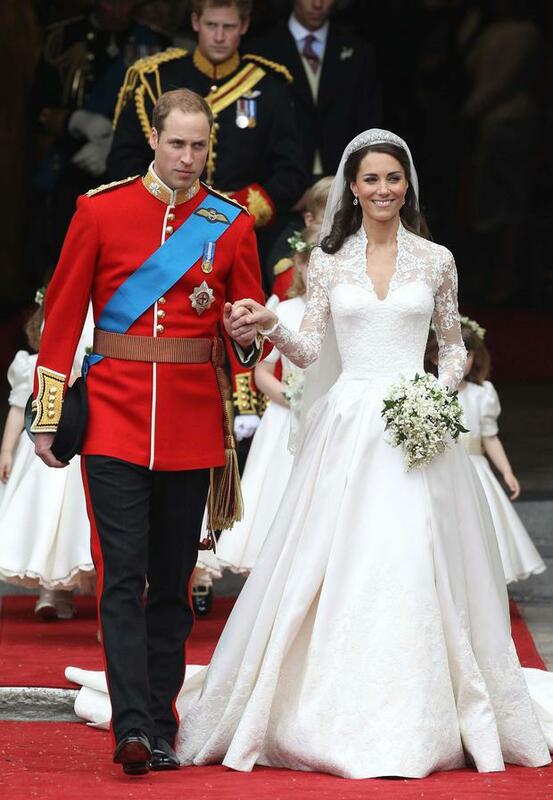 In fact, Kate and William are arguably the most vanilla of them all and still, they are gripping. After their 2011 wedding, the UK enjoyed a €2bn tourism boost and something similar will be expected by 2018 when Harry and Meghan wed. They are also some of the most useful tools in their government’s arsenal in smoothing over international perceptions; they are the personification of PR fluff after Brexit. With Kate due to give birth to her third child in April and a wedding in spring, it's obvious that they're certainly committed to their roles as post-Brexit charm ambassadors. It’s been some time since we had a proper royal romance, not since Prince Rainier of Monaco wed Grace Kelly in 1956 have we had an actress become royalty through marriage with as much hullabaloo. Even with Kate and William, they were together for 10 years before their wedding, so there wasn’t the same buzz as there has been with this modern royal relationship as we got caught up in this 16-month whirlwind. Markle’s story in particular is compelling, she comes from a humble background in California before earning a rumoured $1m-per-season salary for her turn as Rachel Zane on American legal drama Suits. She wasn’t the biggest actress on tv, her name wasn’t a household one before she met Harry, but she was independently successful, which is a first for royal women. We’ve been involved in their stories from the beginning: following them from birth to their first day of school, graduation and their wedding is just the next logical chapter in their public narrative. Now that I write it down, it sounds rather creepy, but it’s the world we live in. 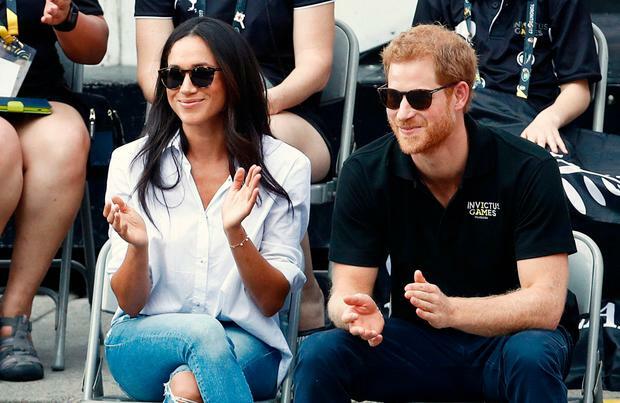 The younger royals seem acutely aware of the curiosity they inspire after being hounded by paparazzi for years, yet, there is always an ever-present air of mystery. The reason we speculate is because we have little knowledge of what actually goes on behind closed doors at any of the palaces. This mystification is in part to feed the 24/7 news cycle, but also essentially, to perpetuate the longevity of the monarchy. Kate Middleton got a haircut? She must be pregnant! Princess Charlotte has a favourite colour, at two? Surely, she must be a child genius! Prince William doesn’t wear a wedding band? Well, let’s get to the bottom of this! Yes, it’s all rather silly, but after the year we’ve all had, I think we deserve a little light relief. And if that frivolity comes in the form of a big white wedding, so be it. So…who do you think will be the bridesmaids?